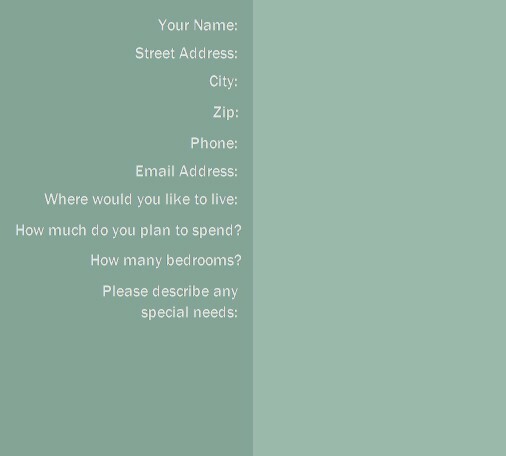 Please fill out this form as completely as possible and we'll send your customized Garden Home Buyer's Guide to you within three days. -- learn about the best new and existing garden home neighborhoods in your areas of interest. --select the home styles and floor plans that are best for you. --avoid buying and negotiating mistakes. --avoid paying too much for your garden home. --get the mortgage that best suits your needs, at the best possible rate.